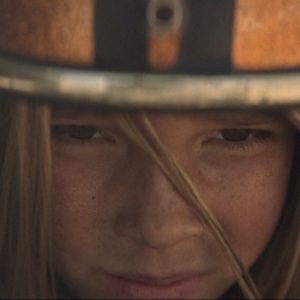 Trusted Brands Make SuperBowl History. Took Big Risks and Won! SuperBowl LI will always be remembered for the remarkable comeback and sudden death victory of Tom Brady and the New England Patriots. I will also remember it for another historic event. During SuperBowl LI, several trusted brands took a stand on different social issues in front of 111 million people – epic (tweet this). This has never been done in the history of branding. Brand activism is usually a big big no-no for major brands, deemed too risky. 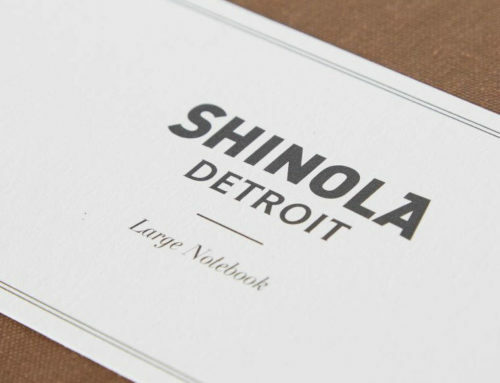 The fact that several powerful brands did so is a first-ever phenomenon and significant. Big brands are risk averse. They typically steer far away from divisive social issues. Like many people, they tend to stay complacently on the sidelines hoping/expecting others to get their hands dirty. Like many people today who feel they can no longer afford to stay passive, some powerful brands are now activating on social issues. These brands are not taking a political stance, rather a social stand. These new activist brands are doing what powerful brands do best, demonstrating a deep commitment to their customers. (tweet this). The issues they are focused on are important to their customers, and not issues advocated by their corporate leaders or shareholders. Why are powerful trusted brands suddenly taking a stand on social issues? Because it represents a real opportunity to forge meaningful immediate connections with consumers. Bombarded by information and headlines, people constantly see problems (often in vivid detail) that they want to change, and don’t know how. They are frustrated, anxious and concerned (bordering on fearful). They don’t believe government, big business or anyone powerful really cares. There is a pervasive and relentless unmet need among people to personally engage in creating social change. (tweet this). Globally, 84% of adults on average continue to feel that being personally involved in positive social change is very or somewhat important to them. (tweet this). Since no one is coming forward to help people make a difference, this is a perfect opportunity for a brand to be a hero. Social issue activation provides a unique opportunity to boldly break away from the pack, to jump out of an unexpected corner to surprise and delight consumers. The brand effectively cuts through the deafening social noise to penetrate the consciousness of a highly concerned and frustrated population. That’s quite an achievement in today’s fast-paced, overloaded world. A powerful brand is a highly trusted social construct with a unique ability to make a social difference (tweet this). Like art, it can capture popular concern in a culturally relevant and compelling way. Since it is a socially trusted entity, it has credibility that can make an issue concrete, impossible to ignore, and more possible to act upon for millions of people. Furthermore, the trusted brand has great resources that can be used to pierce the broad culture of indifference (such as the use of a SuperBowl commercial). So, when trusted brands swing into action on social issues, that’s a serious tour de force being put into play supporting public interests. Just seeing a powerful brand take action on social issues gives people real hope, and inspires confidence. (tweet this). New Approach. Power to the People. Take notice of how these brands are touching social issues. They are putting power into the hands of people. Let’s take the Audi commercial on equal pay for equal work – heavy topic. It focuses on asking human questions rather than on presenting shocking statistics or dramatic consequences. It focuses on the young to construct the vision of their, real human, future. Also, it allows the viewer to come to his or her own conclusion (modern day journalists could learn something here). Inspiring and optimistic rather than forceful or preachy, it presents us with a choice rather than an imperative. It believes, without saying so, that people will choose to make a better world – and places success entirely in the hands of you and me. It doesn’t tell us how to do it, rather it respects us enough to leave that to our own imagination. In a world of little trust, people still trust in brands. (tweet this). As Superbowl LI demonstrates, powerful brands can be self-serving and socially productive at the same time (tweet this). They can use their equity and influence to revolutionize thinking and inspire social action. To reduce risk, they need to put responsibility in the hands of their consumers and allow people to make their own choice. Brand marketing is a powerful force, and one that has proven to make things happen quickly in the culture. The consequences for social change could be significant IF powerful trusted brands continue their efforts as opposed to simply making a one-time outburst. They could dramatically increase momentum behind accelerating social change. Personally, I never had much heart for Audi. Audi makes remarkable cars, but has an unremarkable brand. (tweet this). I was surprised to see this brand take such a poignant stand on something of great concern to women, particularly American women. I also realized this was a strategic move as automotive companies continue to struggle with connecting with women. Audi earns my respect for making the connection in a socially productive way, and also by inviting everyone, not just women, to participate. In just one minute, Audi got on the radar screen of this indifferent consumer and surprised me, moved me and earned my respect. Not bad for a purchaser who has three luxury cars in her household and no Audi’s – yet. Next time around, I will have to give Audi a chance.